Continuing along in the Epagnomel Days, after Wesir's birthday, it is Heru's birthday (aka Horus the Elder "HeruWer"). 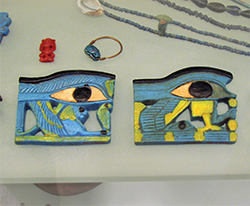 Statuettes that show Thoth presenting of the Eye of Horus (wedjat) depict his mythological role as the healer of Horus during his contendings with Set. The distress that causes confusion, has been driven away, and all the gods are in harmony. 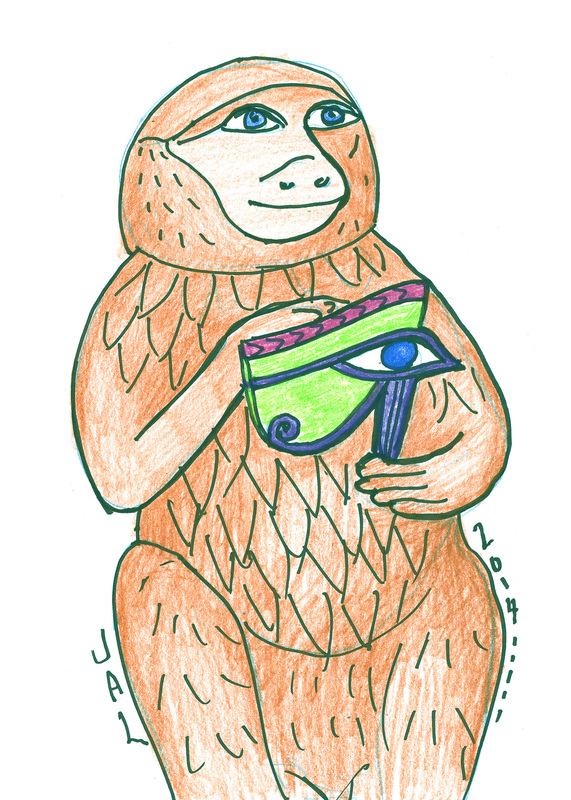 I have given Horus his eye, placed the wadjet-eye in the correct position. For those keeping up with the Epagnomel days, the third day is Set's birthday. 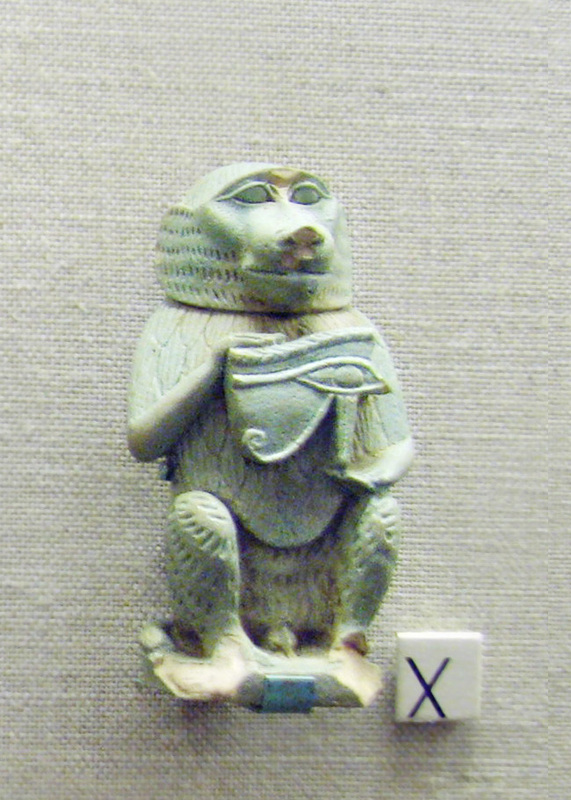 And here are my drawing inspirations, a statuette at Chicago's OIM, and some wadjet eyes at the Met.